As we brave the cold chills of winter, we can start turning our thoughts towards warmer days by starting our spring gardens indoors! February and March are ideal for growing starters inside. 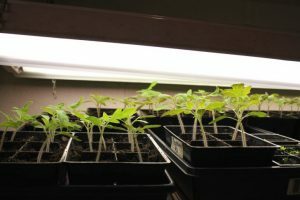 The warmth of your fireplace and a little sunshine coming through the window is all it takes to sprout a few seedlings. You can purchase seeds from Home Depot, a local hardware store, or a local nursery. Even websites like Amazon sell seeds for planting. Peppers, tomatoes, squash, and beans (popular garden vegetables) need many hours of sunlight during the day to grow and they will not sprout in cold soil. Once they have sprouted, they need a long time to ripen. So our typical season of spring, to summer, to fall, isn’t long enough to sprout, grow, and ripen fruits and vegetables. This is why we start seedlings indoors while winter is still raging. We can control the soil temp and allow the seeds to sprout without freezing. Annual flowering plants and perennials will also benefit from starting inside your warm home during the winter. If you’re new to gardening, take it slow. Pick a few different plants to start indoors and go from there. Easier plants to grow that require less maintenance are squash, zucchini, peppers, and onions. Your soil for sprouting seedlings should be light and fluffy – and clean. You can always pull soil out of your garden for these starters. 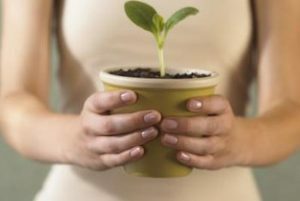 But you have greater chances for success sprouting seedlings if you limit the amount of germs in your soil. Clean soil won’t spread plant illness to your new seedlings. The lightweight, fluffy soil will allow small, fragile roots to spread. While your seed sprouts under the surface of the soil, it doesn’t need light. But once the sprouts have pushed through the surface of the soil, you’ll need to place your plants near south facing windows for the most sunlight. You can also purchase artificial lights for more success in sprouting your seedlings. These will cost anywhere between $80 and $500. 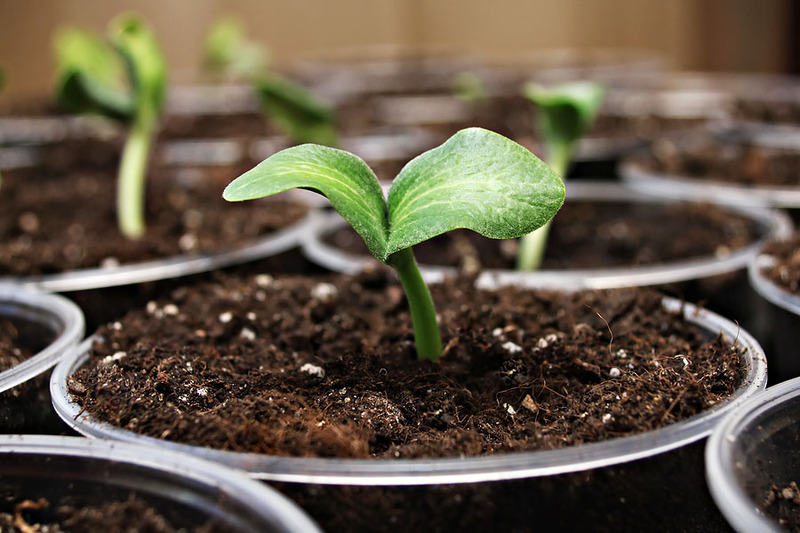 You’re starting your seedlings indoors to give them more help growing. 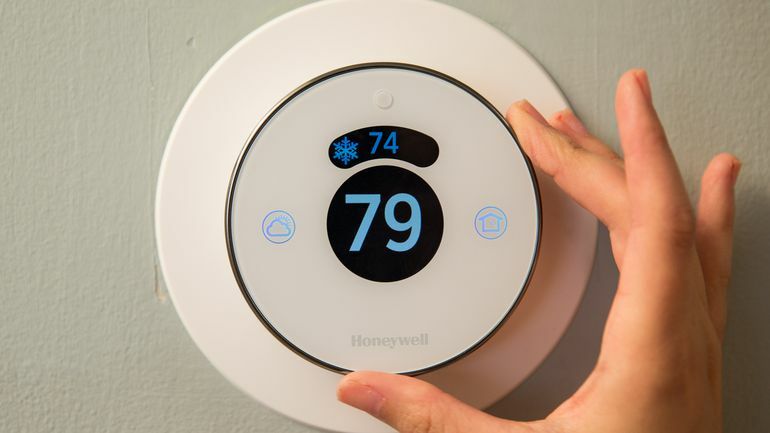 So avoid cold areas in your home. If you have an especially warm room in your house like a laundry room or bathroom, this is the best place to keep your seedlings so they stay warm. 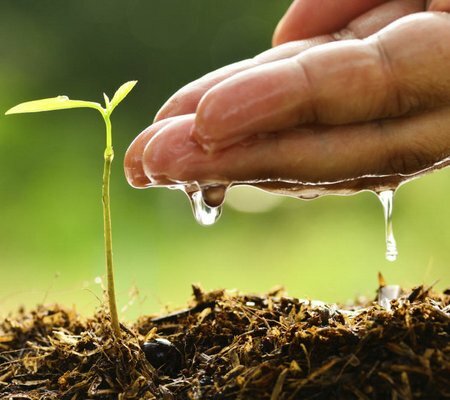 Overwatering your seedlings can drown the seed and kill the plant. You only need to add small amounts of water at a time. The soil should always be slightly damp. Watering is best done through the bottom of the pot. It is less likely to spread disease this way, as opposed to watering from the top. Once you’ve cleaned your planting pots, fill them with your fluffy, clean soil. Add water to the soil so it’s very damp. Press your finger into the center of the soil, about ½ inch deep. Place a seed into the indentation and cover with moist soil. 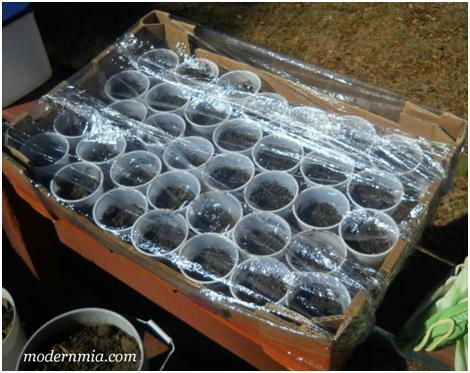 To trap the humidity, cover the containers with a loosely fitted plastic bag. 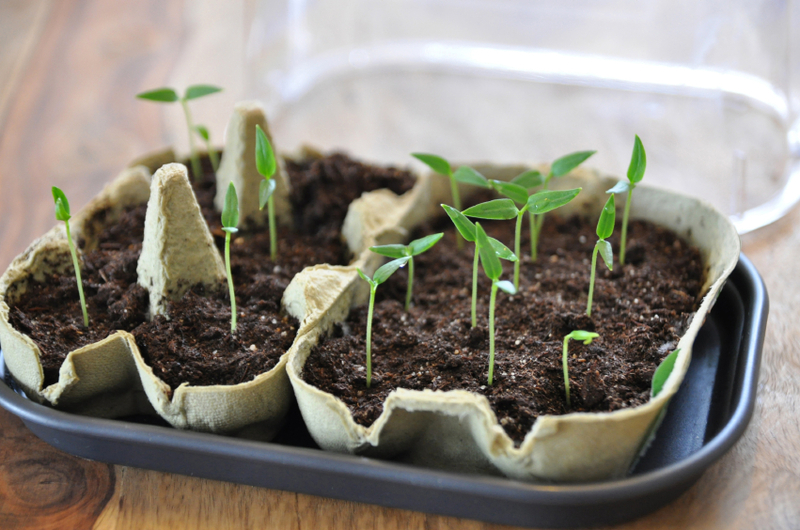 Remove the cover once your seedlings have sprouted and pushed through the soil. You always want to be really aware of the progress of your seedlings. Check them every day to make sure they’re watered, to see if they’ve sprouted, and to move them closer to a light source when necessary.